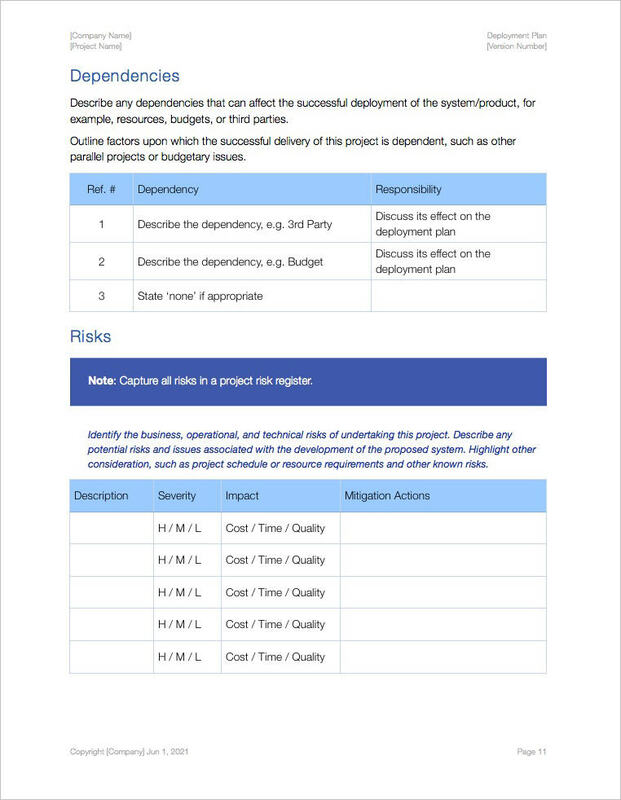 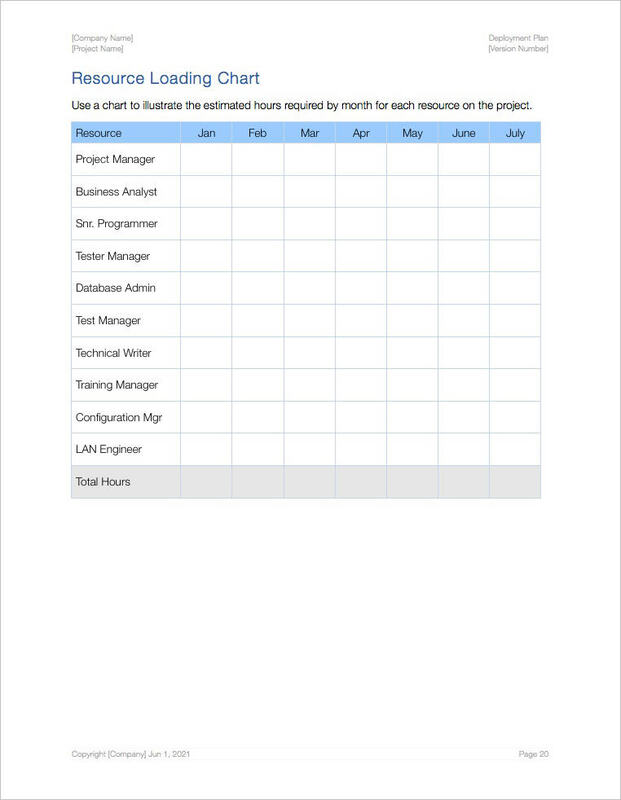 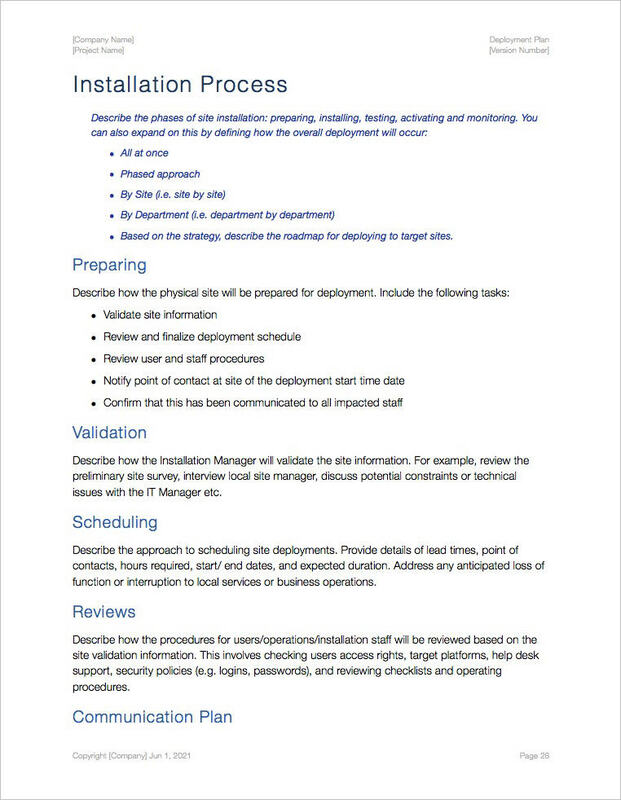 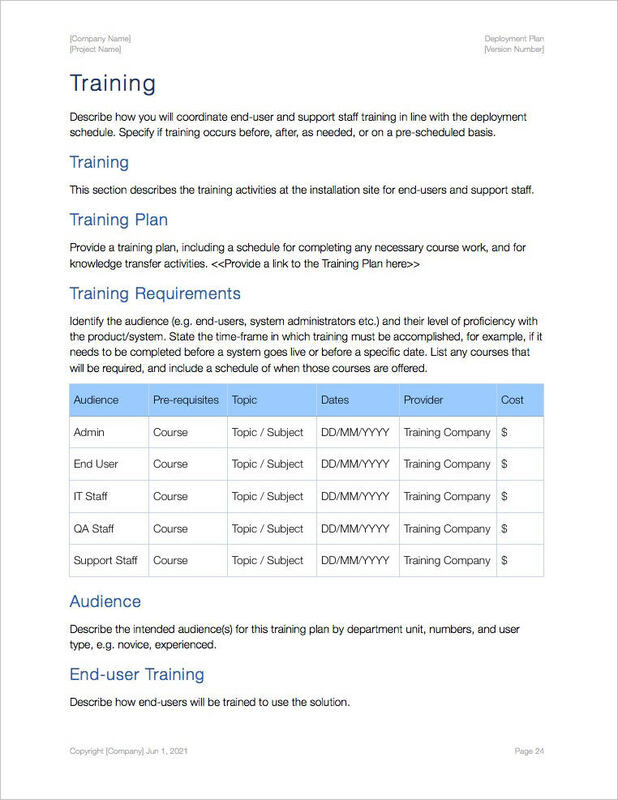 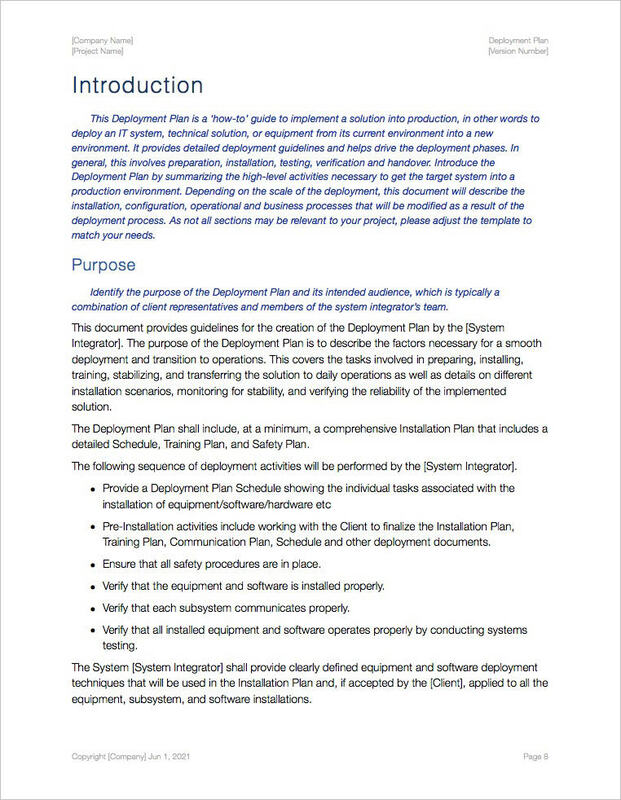 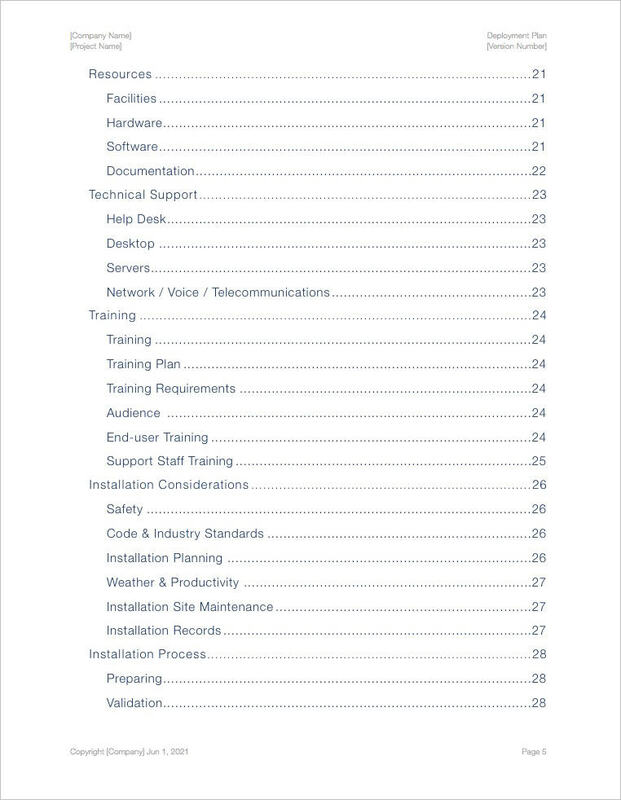 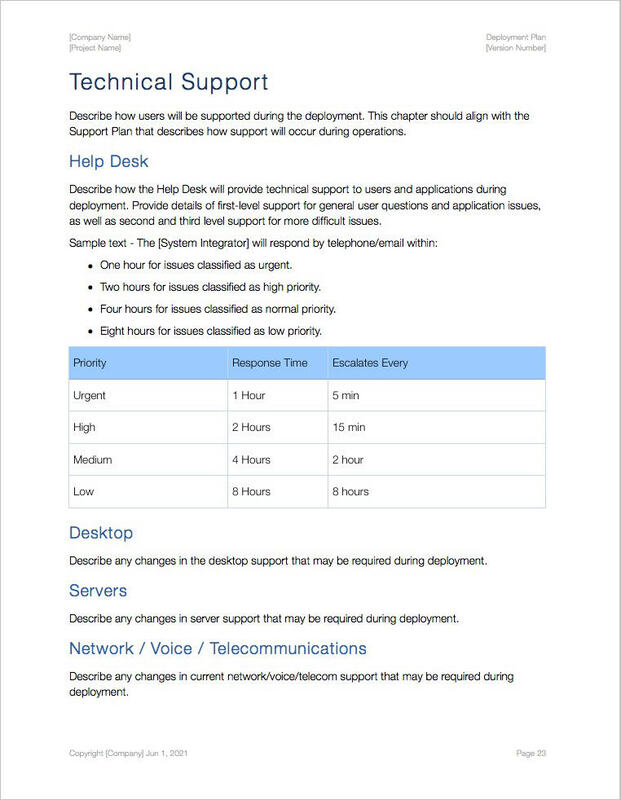 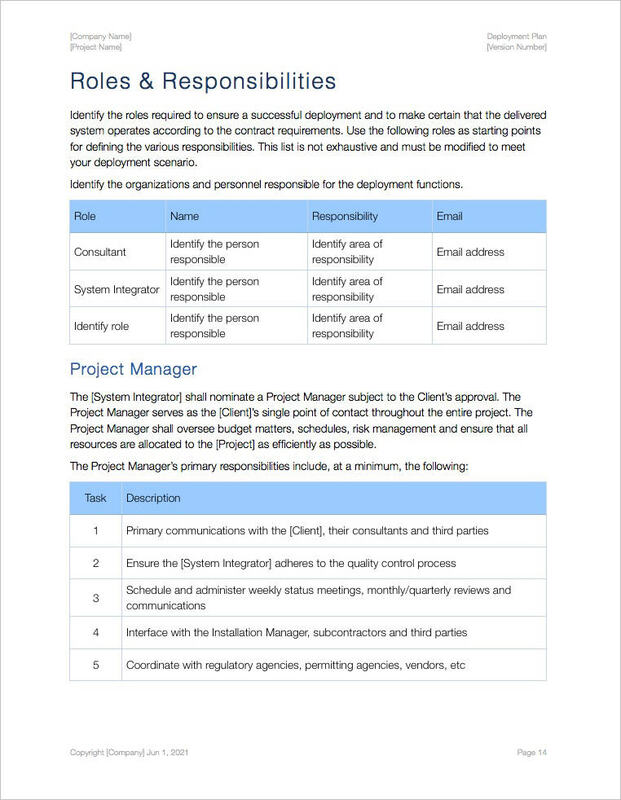 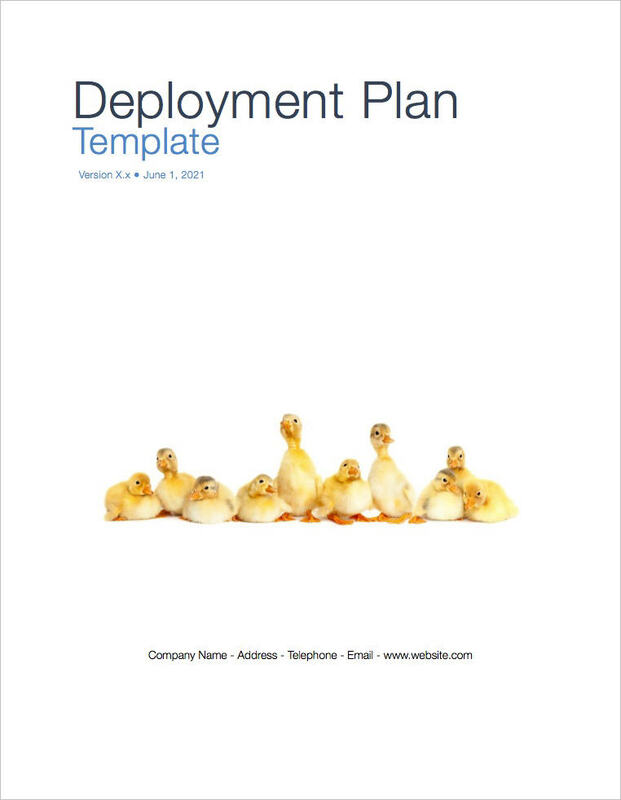 Use this Deployment Plan template – iWork Pages 28 pages – to document how you plan to to implement a solution into a live production environment. 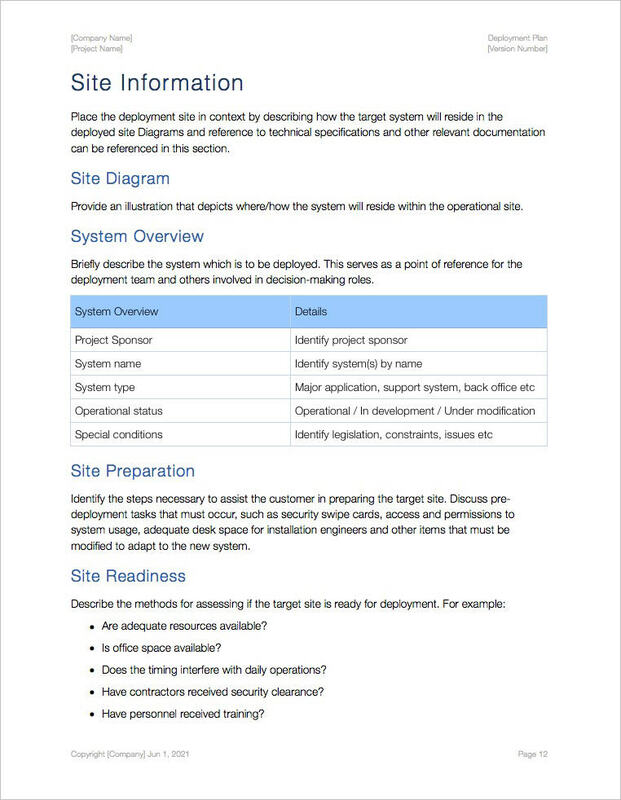 Describe the installation, configuration, operational processes that will be modified as a result of the deployment process. 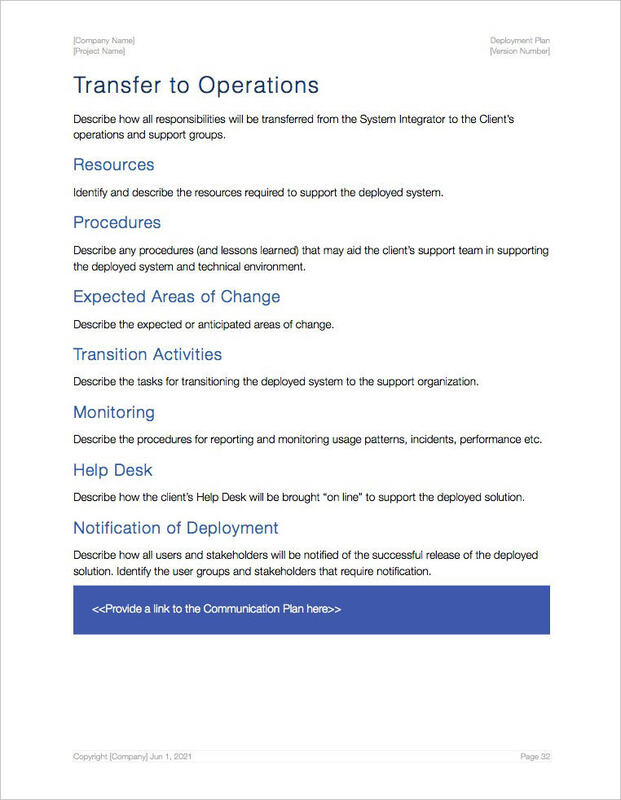 Describe the factors necessary for deployment and transitioning. 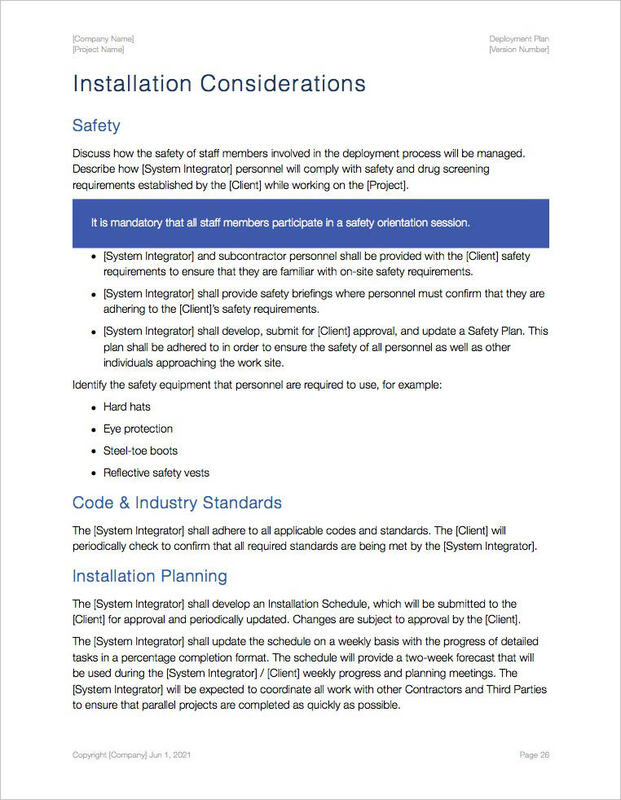 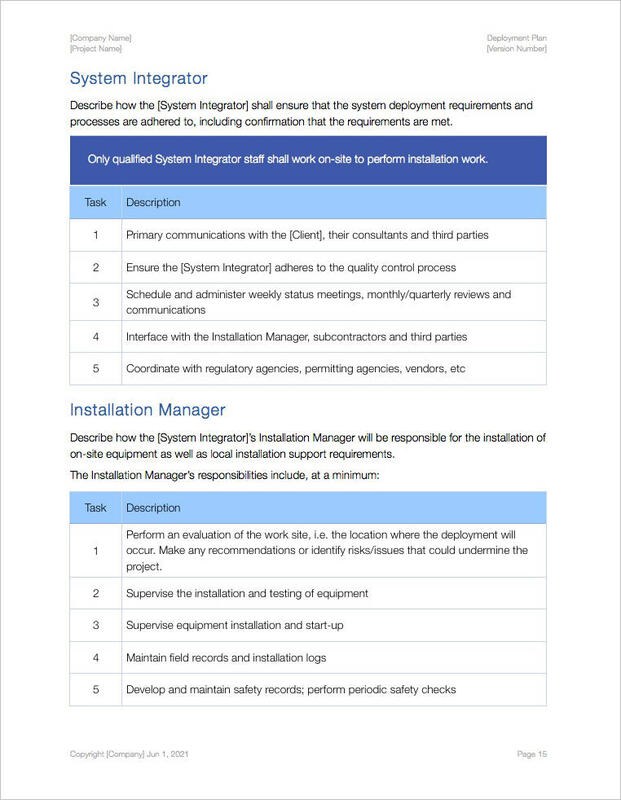 Verify that equipment and software is installed properly.